Training Treasures: Free Subtraction Mats and Cards! Whether your child is in kindergarten, first, or second grade; there is something here for them. 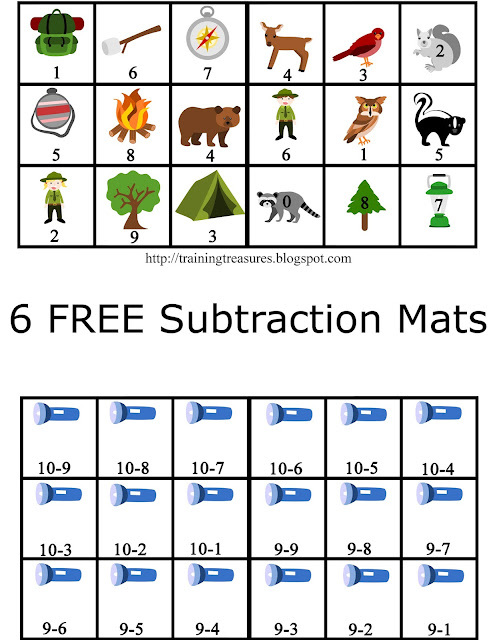 Download the subtraction mats here for free. The mats consist of one large grid, with each mat having a different theme. 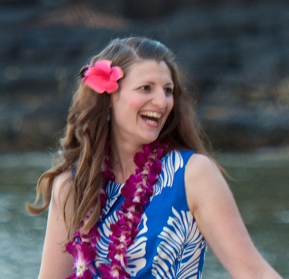 The themes are spring time, barbecue/picnic, camping, flowers, kids, and beach. Inside each square is a cute clipart with an answer to a subtraction problem (the difference). On the page following each mat is another large grid with one image to match the theme and a subtraction problem. Just print (I did mine double sided) on cardstock and slip into a page protector. Then, print (not double sided! ), laminate, and cut out the subtraction problems. Your student or child will then match the subtraction problems to the differences. Enjoy! On a personal note, I am quite serious when I say that I live very, very close to D.C.- which means I am expected to get over 2 feet of snow this weekend. In all of my 30 years, I have never heard a forecast like this for my state! On Wednesday, a dusting crippled the highways, leaving people stuck in traffic for several hours. No, I'm not kidding. I don't drive in the snow. End of statement. The Kindles are charged so the kids aren't burning down the house while I'm out shoveling the snow. Daddy will be sleeping at work, as he does snow removal. I'm very nervous about this blizzard. I'd rather not lose power, and I don't know how shoveling is going to go, since I am now just 6 weeks out from my c-section. My neighbors ALWAYS shovel for EVERYONE they can, including me. But, since they are calling for 2 feet of snow, I think everyone is going to be struggling just to get their own driveways and sidewalks done. My husband told me to leave the snow for him, but I'm a hard worker. I want to please my husband and serve him as best as I can! He has chronic back pain, plus a huge property to shovel during the blizzard. I will do everything I can to hold down the fort while he's gone. Luckily there is a neighbor down the street who has a snow blower and makes his rounds through the neighborhood. The path he takes does half of my sidewalks. And guess what? I have a new single neighbor next door. I think I'll be chatting with him for the first time this weekend. ;) I have lots of desserts to bake for anyone who helps! Wish me luck! And if you're near this blizzard, enjoy the family time! I'm looking forward to building some snowmen with my boys!